Brionny Allen is the National Sales Manager at Ironbark Asset Management and has over 15 years of experience in the Financial Services industry. Her role is to manage the advice research, key accounts and sales functions into the advice industry. She works with Ironbark’s largest national accounts to identify and help deliver investment solutions that best meet their needs and manages a team who are responsible for distributing our best in class solutions to the retail and wholesale markets. 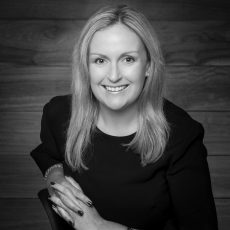 Brionny has held various Key Account and client/adviser service roles within the industry and prior to joining Ironbark had worked at Deutsche Asset Management and Count Financial. She holds a Graduate Diploma in Applied Finance and has Bachelor degrees in both Economics and Applied Finance.